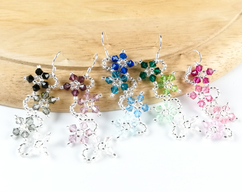 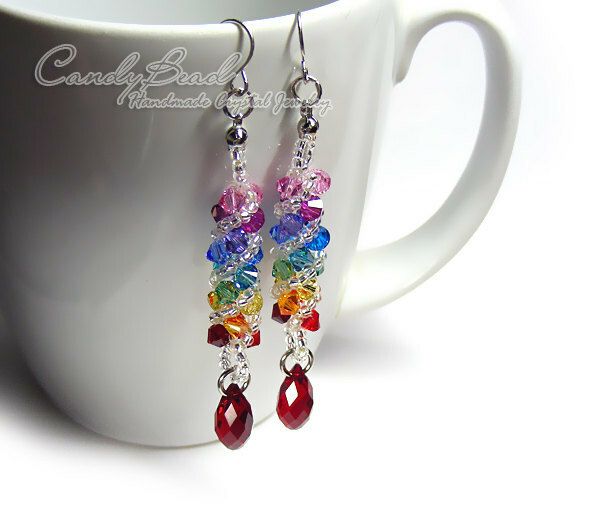 Spectrum rainbow twisty Swarovski Crystal Earrings, very pretty! 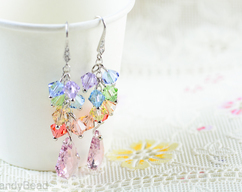 Length is 70mm and 9mm wide. 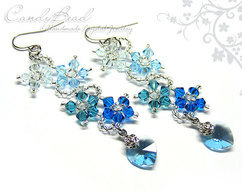 Please note to seller when you check out for other color of Swarovski tear drops you want. 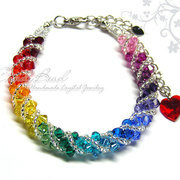 If it's no have any note from buyer, I'll send the random color to the buyer. 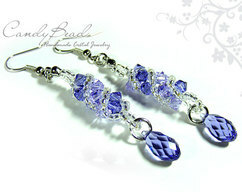 And it is carefully shipped in a beautiful organza pouch with drawstring, bubble wrapped and well protected.